Flexible non-slip mat. 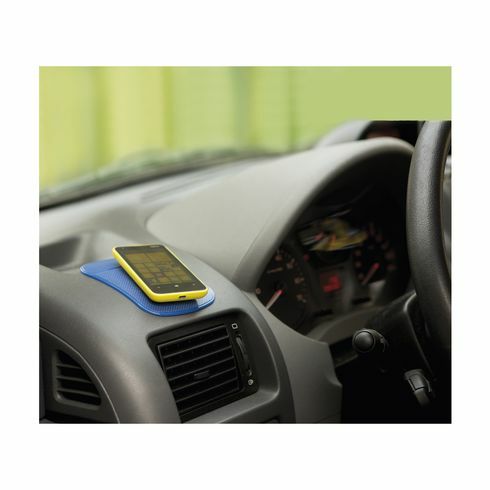 Ideal for your dashboard - it grips to the surface and holds small items in place as you drive. A sharp turn? Coins, sunglasses or your mobile phone effortlessly remain in place. Also useful in a caravan, kitchen or bathroom. Perfectly sized for a promotional mailing!